We all have films that we love in the Black community, but how often do we pay attention to exactly who brought those movies to life for us? While we all may be able to recognize a Spike Lee joint, there are countless Black directors whose contributions to the film industry go unrecognized. This is especially true when it comes to Black female directors, so PushBlack has decided to highlight five of our favorite Black female filmmakers. Although underrepresented in the film industry overall, Black women are responsible for some of our most iconic and cherished movies. Black female filmmakers have demonstrated their ability to combine personal stories and history to unearth truths about relationships, families, sexuality, social justice issues, cycles of oppression and much more. These women have often made a point to use their work as a space to combat existing inequalities, provide alternative narratives and simply be visible. Ava DuVernay is one of the most talented directors and screenwriters of the 21st Century. She continues to defy odds and redefine what it looks like to be a thriving filmmaker in Hollywood. Unlike many of her contemporaries, she did not attend film school and primarily learned how to direct films from observing on sets. Though her growing body of work is not extensive, each of her films has received critical acclaim. For Selma (2014), she became the first Black female director to be nominated for a Golden Globe award and the first Black female director nominated for the Academy Award for Best Picture. In 2017, her documentary film 13th (2016) also received an Academy Award nomination for Best Documentary feature. 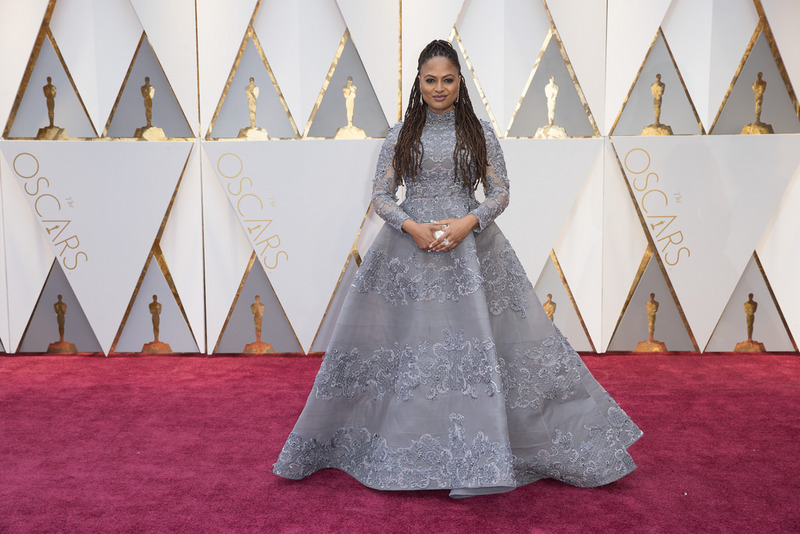 Recently, it was announced that DuVernay’s next film, A Wrinkle in Time, will have a budget topping $100 million, which makes her the first Black woman to ever direct a film with a budget that substantial. Click here to buy Ava DuVernay’s films. Gina Prince-Bythewood is most well-known for directing the incredible film Love and Basketball (2000). As her directorial debut, the film truly resonated with the Black community and has become a staple in our homes. As a graduate of the prestigious UCLA film school, Gina started her exciting career as a writer for the popular show A Different World before moving into directing. Since 2000, Gina has directed two important films: The Secret Life of Bees (2008) and Beyond the Lights (2014). Both movies center on stories of Black women navigating complex familial and romantic relationships. Currently, Gina is focused on an upcoming movie for Marvel called Silver and Black after the recent success of her own show Shots Fired on Fox. Click here to buy Gina Prince-Bythewood’s films. Kasi Lemmons is the woman responsible for bringing us the classic Eve’s Bayou (1997) starring Samuel L. Jackson and Lynn Whitfield. This was her first film as a director after a promising acting career. Voted one of Time’s Most Influential Films on Race, Eve’s Bayou tackles the realities of Black wealth, coming-of-age, infidelity, and family. Pulitzer Prize-winning film critic Roger Ebert praised it as the best film of 1997. Lemmons is also known for dynamic and powerful casts in her films and has worked with Sidney Portier, Don Cheadle, Forest Whitaker, Jennifer Hudson and Angela Bassett just to name a few. Her other films include The Caveman’s Valentine (2001), Talk to Me (2007), and Black Nativity (2013). Click here to buy Kasi Lemmons’ films. Julie Dash makes the list because she is a pioneer in African-American cinema. She is the first Black woman in history to receive a general theatrical release and distribution for a film in the United States. Her movie, Daughters of the Dust (1991), broke the mainstream and told the story of three generations of Gullah women. In 2004, the film was selected to be preserved in the U.S. Film Registry by the Library of Congress for its significant cultural and historical impact. She has gone on to create and direct several TV movies including the notable The Rosa Parks Story (2002) starring Angela Bassett and Cicely Tyson. Dee Rees made her debut on the film scene with the groundbreaking movie Pariah (2011), which told the story of a Black teenage girl coming to terms with her identity as a lesbian. Though she had directed short films and documentaries in the past, Pariah was her first major release. The film raked in far too many accolades to list. Those include 7 NAACP Image Award nominations and The Sundance Festival’s Excellence in Cinematography award. Dee followed up with the hit TV movie Bessie (2015) starring Queen Latifah and brought home four Emmy Awards for her work. Currently, she is co-writing and directing a movie for FX with the amazing Shonda Rhimes. This list is in no way exhaustive and cannot possibly capture the full breadth of Black women’s contributions to the film industry. Though we focus primarily on Black female directors, Black women have a long tradition of accomplishment as screenwriters and producers as well. If you are interested in learning more about Black women filmmakers, check out Sisters in Cinema. This documentary pays homage to Black women’s achievements in film and illuminates a rich history that has remained hidden for far too long.